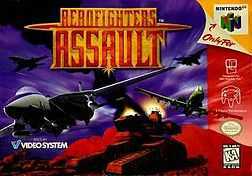 The first and only 3D Aero Fighters game, this was Videosystem’s last game. Known in Japan as “Sonic Wings Assault”. Copyright © 2014 - 2019 SocksCap64, All Rights Reserved. Logos, Trademarks, Pictures Belongs To Their Respected Owners. Powered By WordPress. 101 Queries in 0.456 seconds.